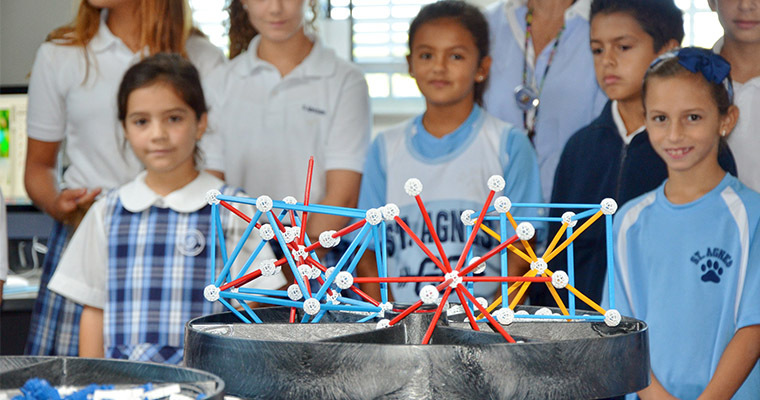 What is a STEM Lab? 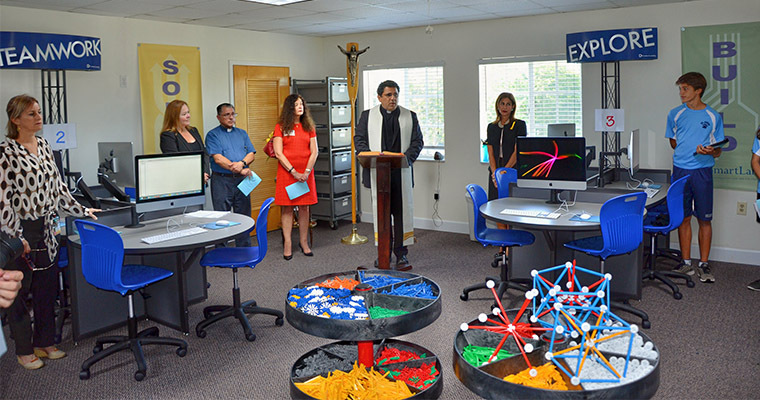 In our quest to enhance St. Agnes Academy’s learning environment, we are excited to announce that our new STEM Lab was implemented in September 2016! 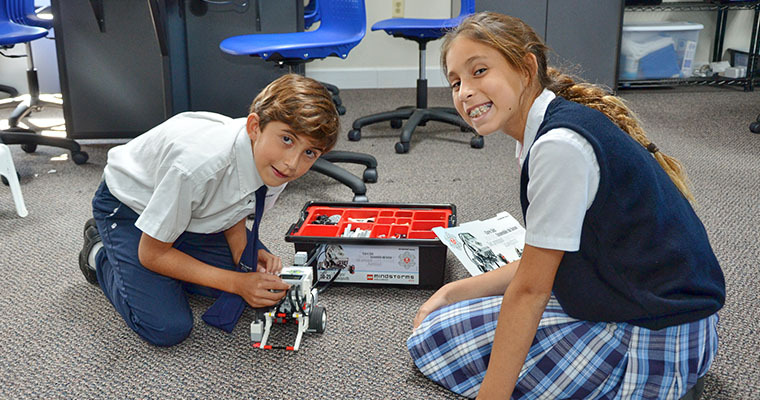 Students in grades 2-8 are already enjoying the STEM curriculum and lab. 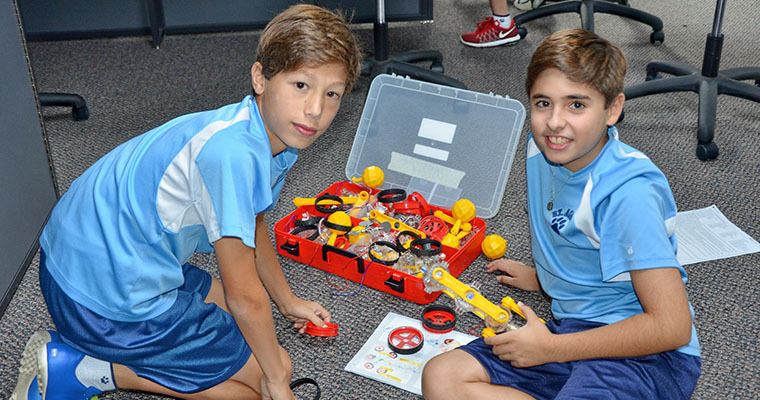 Students attend the STEM Lab for 45-90 minutes each week, and are creating remarkable projects that motivate them to inquire, explain, tackle new problems and celebrate their solutions. 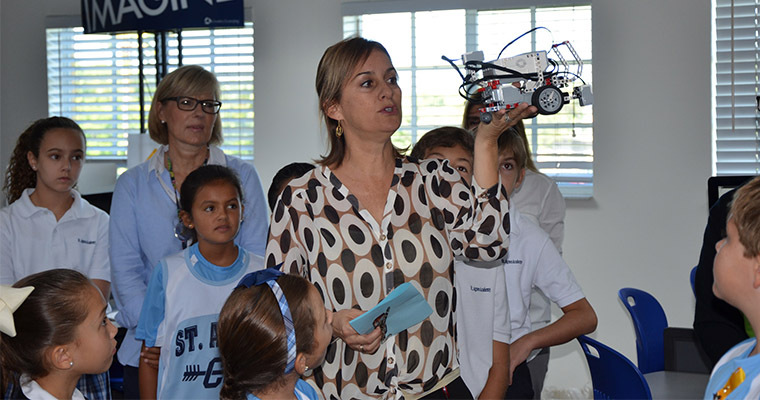 Their feedback, to both teachers and parents, has been incredibly positive! Though the lab is up and running, we still need your generous support to finish funding this educational endeavor. We have currently raised nearly $200,000, but we still have to reach our goal! 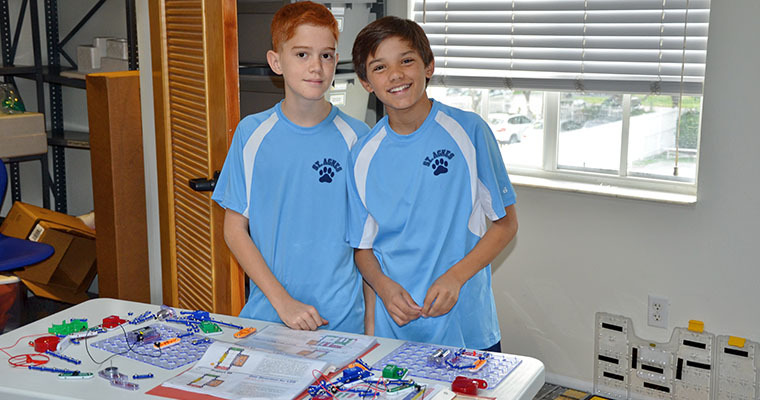 Please consider making a difference in your child’s education, by donating to the STEM Lab today. Click the “Donate” button on the left, to make a secure online donation. 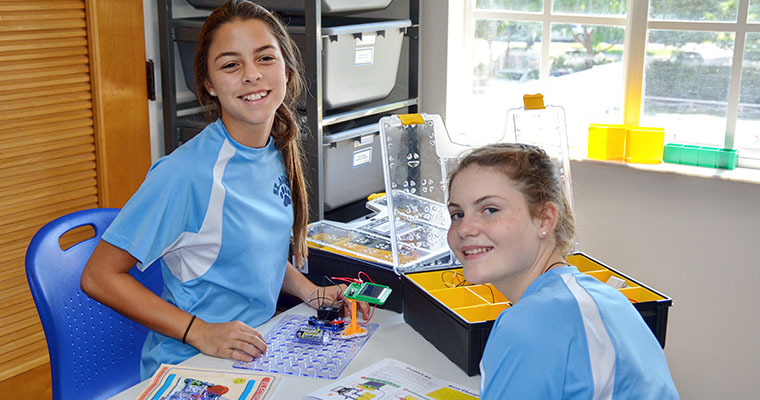 STEM education fosters growth in important areas of critical thinking and problem solving. 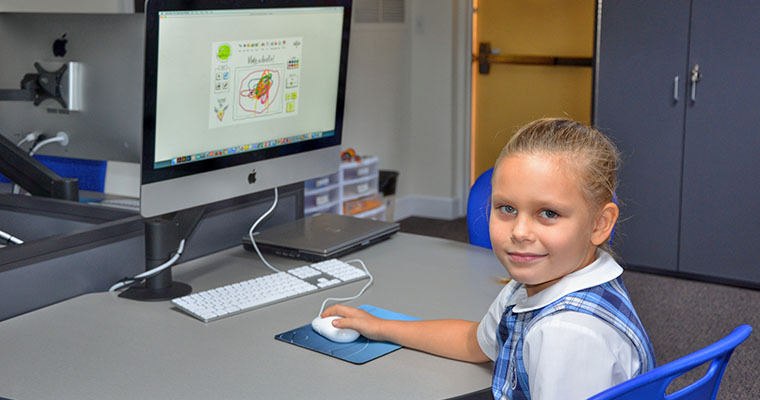 In today’s world the ability to solve problems with technology is an essential skill. Students need to understand the multitude of important applications of various technologies, not just how to use devices for entertainment. 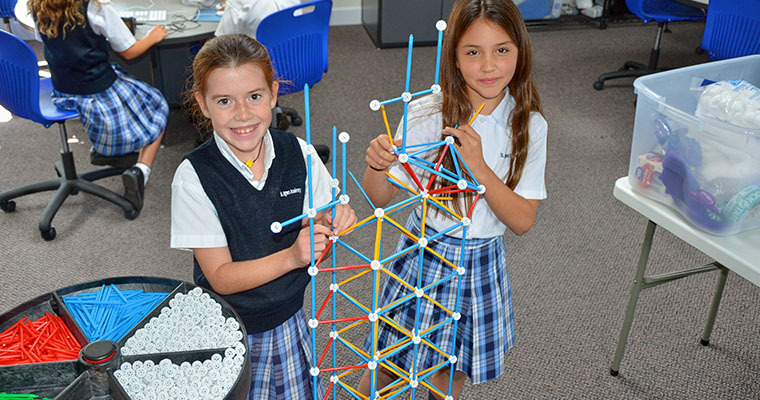 In the STEM Lab students will use the engineering design process to achieve their objective. 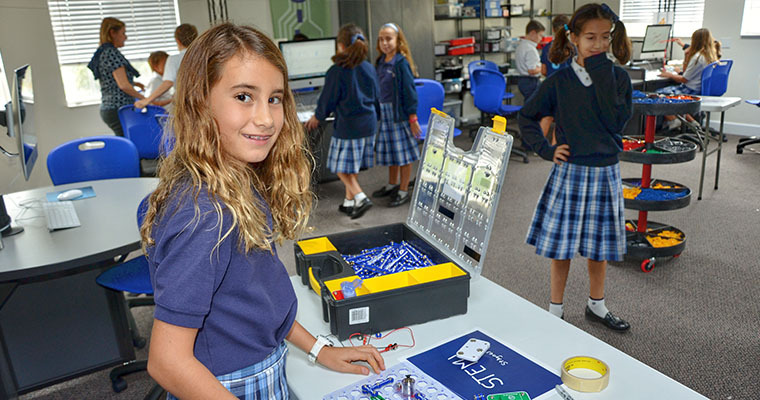 This teaches them how to think like a designer and problem solver, revise, research, collaborate, test, revise, and present or demonstrate their work. 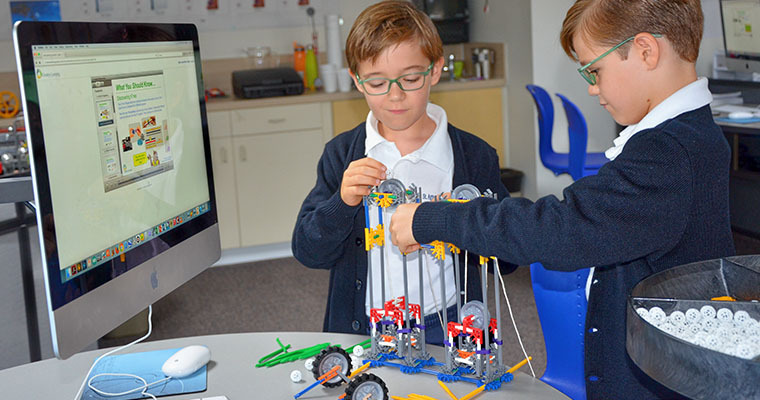 Project-based learning promotes higher order thinking skills through presenting challenges and questions to students that they must respond to through inquiry and discovery. High quality products are the end results of their learning. 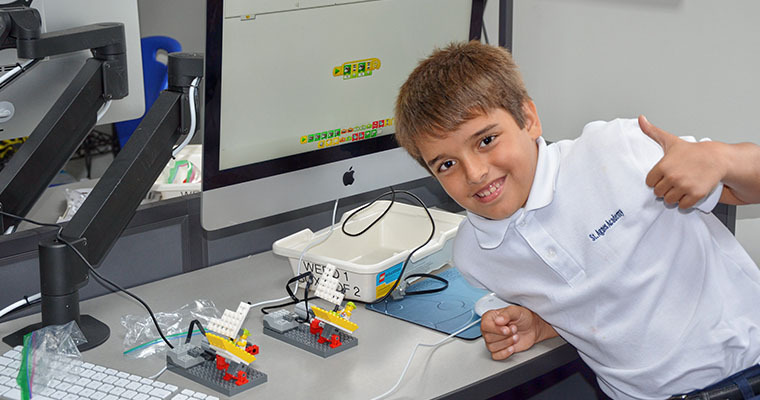 STEM education teaches essential skills needed in today’s technology driven world. 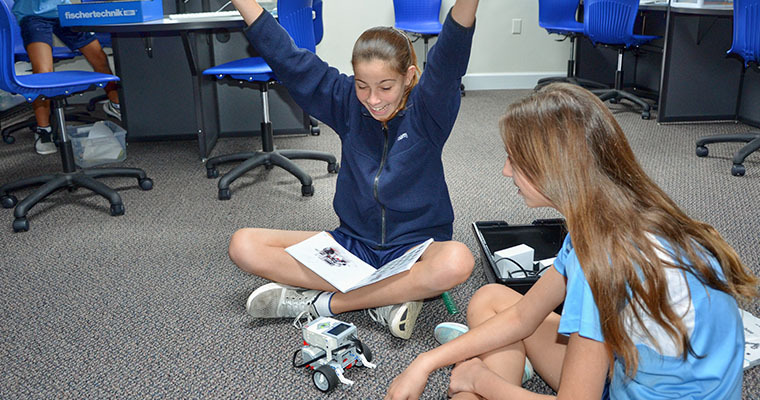 The STEM Lab provides a comprehensive system for students to use a wide-range of technology connected to real-world applications. We have raised nearly $200,000 thanks to your generosity! Jesus first, Others second, Yourself last. 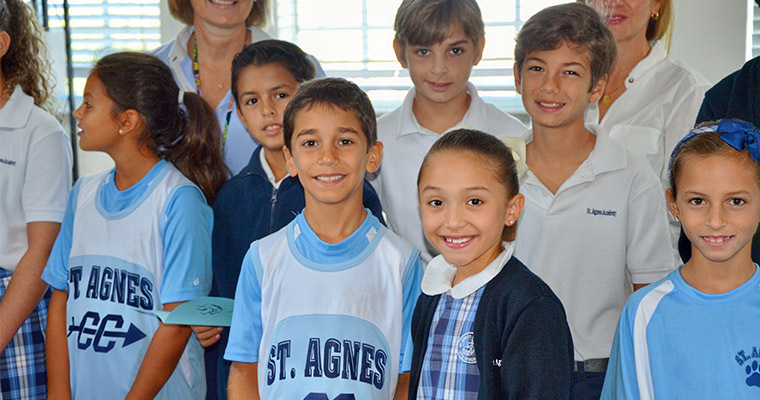 The mission of St. Agnes Academy is to provide for our students strong Catholic values and academic excellence, while encouraging them to be lifelong learners. JOY (Jesus first, Others second, Yourself last) is our call to action!